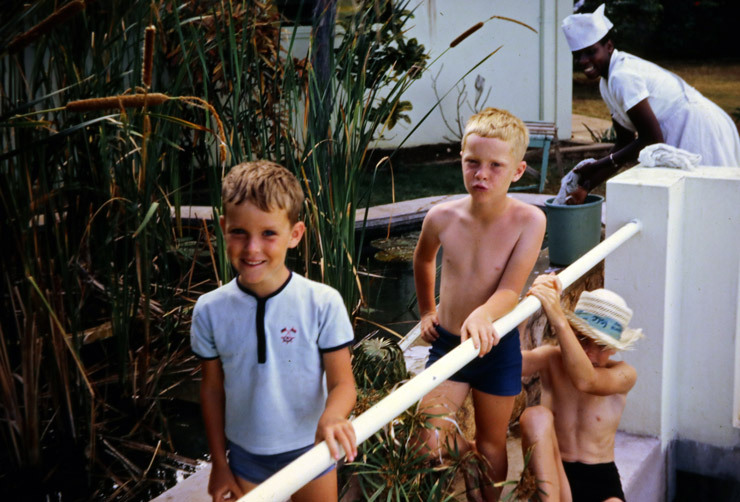 35mm Slides are cherished by hobbyists and their families across the country - and seeking to showcase those memories in digital form is a task undertaken by many. 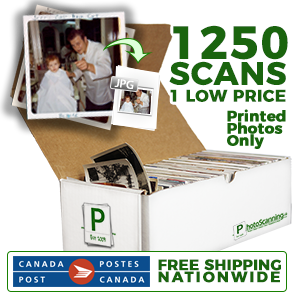 At PhotoScanning.ca, we've spent thousands of hours meticulously tweaking our processes - to improve our quality, to decrease our costs, and to increase our organization options - all with the goal of being the ideal fit for your slide scanning project. Our commitment to providing the coast to coast lowest pricing is maintained in our slide scanning offerings - not only do our massive 3500+ DPI files provide a file size suitable for nearly all purposes, but our industry leading price of 25¢ per slide literally has competitors asking "how do they do it?". The answer? Practice. Dedication. Innovation. And a bit of skill. You tend to pick those things up when you scan over 500,000 slides for customers across Canada - and every bit of our process has been custom built from the ground up (not bought from a store!) to bring you great scans at the absolute best price. Want to Learn More? Follow Us On Instagram @PhotoScanning where we'll be documenting how our in-house 3D Printing, robotics, new automation technologies, and automated file management scripts all come together to save us time - and save you money. 3500+ DPI - Get massive 5000 x 3300 pixel JPG files between 2MB & 5MB - that's large enough to print 16" x 10" at 300 DPI. Scan In Order & Folders - We maintain your order & organization - keep in trays, carousels, or boxes - labelled sequentially or as marked. Automated Colour Enhancement - Automated Adobe Photo Shop scripts analyze your image, automatically enhancing levels, contrast & colour. 4400+ DPI - SUPER Large 6300 x 4100 pixel files produces a shocking 25,830,000 pixels - that's 25 Megapixels - large enough to do pretty well anything you want. Advanced Colour Enhancement - Working directly with RAW colour information in our SUPER Scan process allows specific control to your films' profile. JPG Files or TIFF - your choice - Looking for uncompressed TIFF files as large as 150MB each? Add 25¢ per slide for TIFF files & get a free 1TB Hard Drive. Specialty Minimum Order Rate Applies - 500 SLIDE MINIMUM ORDER - At this current time our demand dictates a minimum order size for our SUPER Scan service - exceptions may be granted, but our SUPER Scan service is catered towards large archival projects. *NOTE* - Our SUPER Scan service is new for 2017 - Past PhotoScanning.ca customers who wish to re-scan with our SUPER Scan service will receive a full credit for their previous scanning amount paid on re-scanning the same order. Clients within the Greater Toronto Area can take advantage of our 35mm Slide Scanning Drop Off at 208 Browns Line, Toronto, ON - located 15 minutes west of downtown Toronto south of Sherway Gardens & the Gardiner Expressway. Dropping off your slides is simple - we'll accept them in any box, bag, or bin - as organized (slide trays, carousels, and boxes may have their order & organization maintained!) or as unorganized (throw them all in a bin - we'll still scan each one & organize them to return to you!). No appointment is required - drop by anytime and start the scanning process today. With 35mm Slides, the methods used to store & display vary greatly by client - because of this, we've opted to allow 35mm Slide Orders to be received in their current manner (carousels, slide trays, slide boxes), with order & organization maintained (folders over 20 slides, clearly labelled folder names). Start by finding a large enough box or bin to ship in your collection of slides - while some clients choose to leave in carousels or trays, others find removing them and bundling with an elastic band inside of a ZipLock bag allows them to save significantly on shipping costs (both size and weight). We will accept either method, maintaining the project for the return of your slides with your digital copies. 3. Our process takes approximately 10 business days for standard orders - upon completion of the scanning process, you'll be issued an invoice to your email - the only costs charged are the per slide price, any applicable add ons (like TIFF files or USB), return shipping and HST - no additional or hidden cost. Invoicing is done prior to the return shipping stage, with invoices payable online via Visa, Mastercard, or Interac E-Transfers. Our standard 35mm slide scanning offerings offer the best value in the entire country - an affordable, quality reproduction suitable for large archives & family projects coast to coast. We've been offering our standard 35mm scans since 2010, and in that time we have constantly been asked to use our expertise in low cost digitization to target high quality options as well. We've custom developed our scanning process from the ground up - not purchased from a box store and set to Auto. With our SUPER Scan options, we've focused specifically on attaining an extremely large (4400 DPI), sharp scan that does a fantastic job of showcasing colours & details. Compared directly to our 25¢ standard scan options, you'll notice an increase in sharpness, details in dark and light areas, and in colour accuracy - our standard process uses automated colour correction scripts that analyze the JPG image as a whole, whereas our SUPER Scan process interprets colour details separately and uses advanced algorithms to enhance their information before JPG or TIFF files are created. 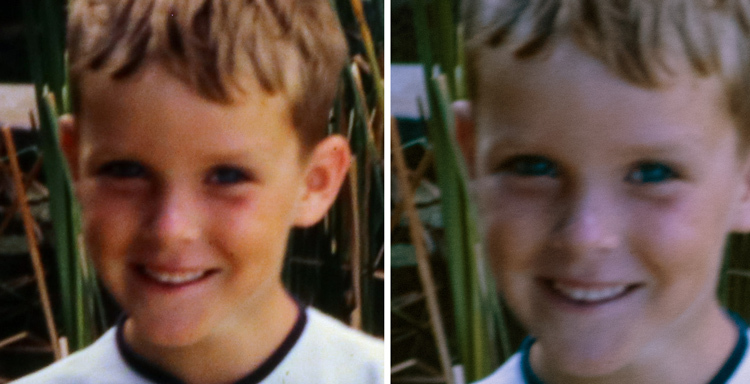 The image above is a 100% magnification of both our Standard (left) and SUPER (right) scan (click for full) - as you can see, the slightly larger SUPER Scan have less harsh & contrasted colours, more detail in the dark shadows, more detail in the weeds, etc. While the benefits of SUPER Scans may be significant to some, they may be negligible to others - We service a wide variety of clientele, including last minute slideshows, large estate work, photographers, museum outsourcing or the average home consumer - all have varying quality expectations & budgetary restrictions, so we've chosen to offer both options at guaranteed lowest prices to put the choice in your hands, but we're happy to help guide you with any answers we can. 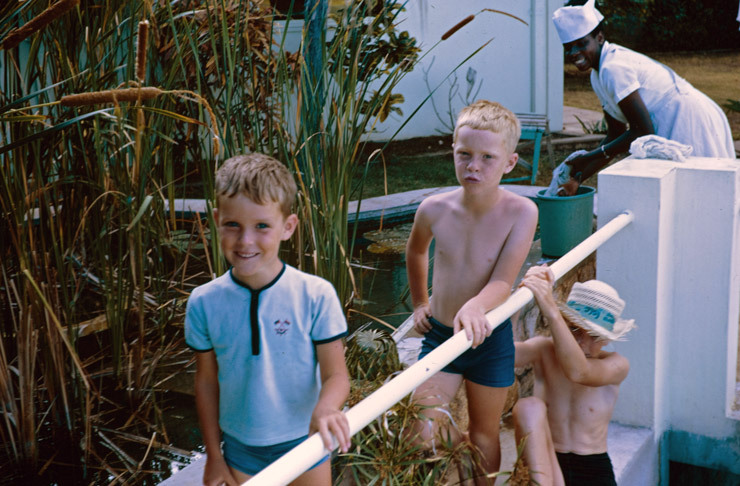 Our most popular slide service is our standard service - this is the method chosen by the majority of our consumer clients and a large portion of our museum & archival clients (including government and corporate archives). The standard 25¢ are a fantastic option to have your project digitized with the absolute lowest costs, where as the SUPER Scans provide you with an incredible quality image for your most demanding quality requirements while still coming in under the average cost of a basic scan at our competitors.